You are invited to a wonderful evening of music and art on Friday, May 19 in the ancient church of St Mary the Virgin in Ladywell, Lewisham. 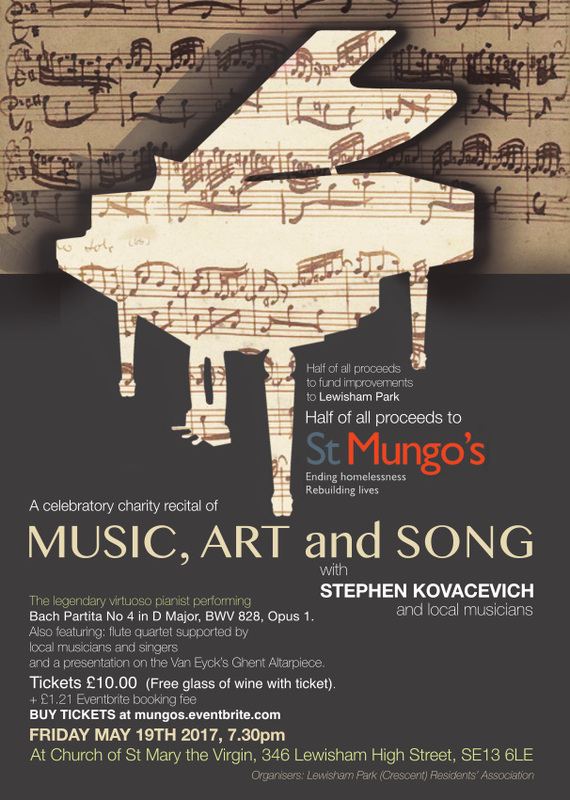 The evening is for charity (St Mungo’s homeless charity) and development in Lewisham Park (proceeds are split 50/50) and the ticket price includes a glass of wine! 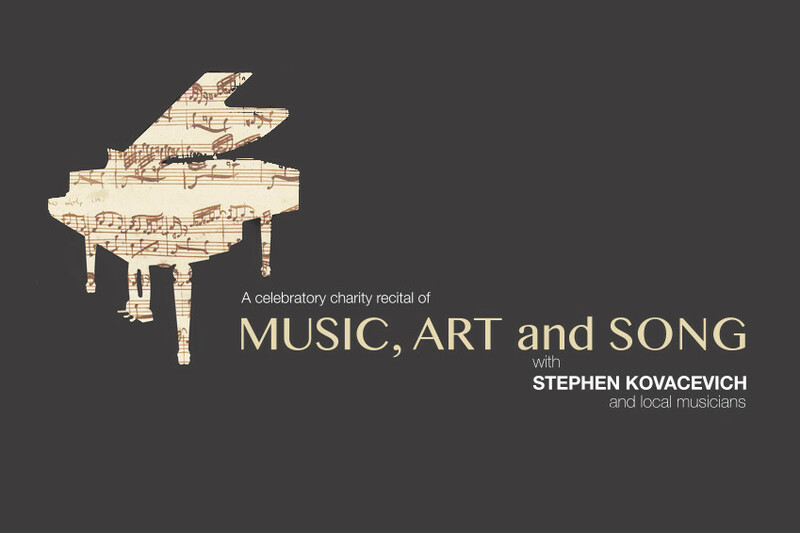 The international pianist, Stephen Kovacevich will be playing Bach, a professional flute quartet will play Mozart followed by a short talk on Van Eyck’s Altarpiece and its historical connection with the church followed by exceptional local amateur singers performing a mixture of baroque and contemporary songs. This will be a fun and entertaining evening and we look forward to seeing you there. Next post Headliners- The Sons of Django!